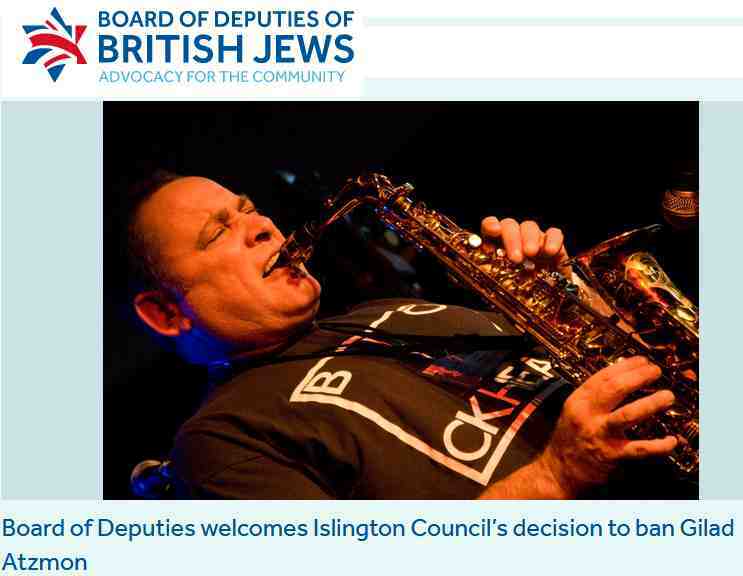 Gilad Atzmon has been banned by Islington Council from playing a jazz concert with the Blockheads under the IHRA definition of anti-Semitism. 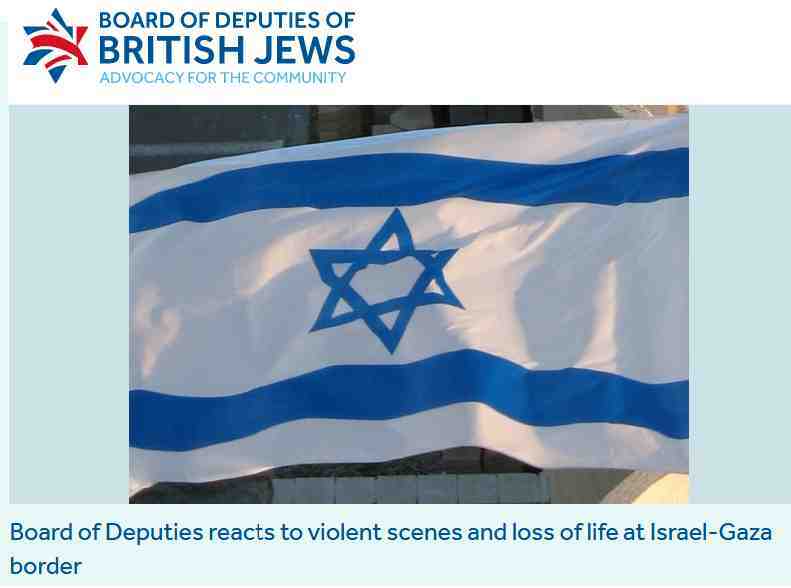 Yet the IHRA policy itself is both racist and anti-semitic. Ipso facto any ban enacted under it can only be aimed at supporting and entrenching racism and anti-semitism. I recently wrote about the disparity in sentencing between Israeli Jews and non-Jews in Israel. 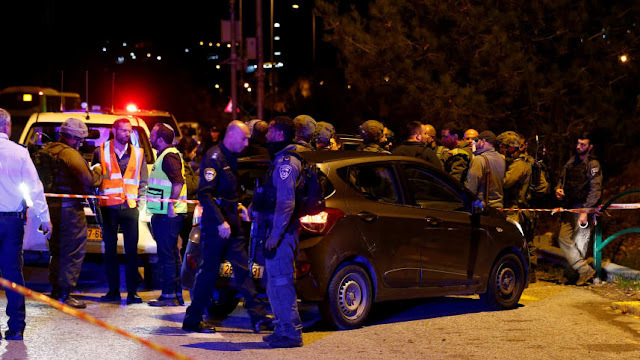 An Israeli, Evyatar Damari, who was part of a lynch mob that killed an Eritrean refugee, Haftom Zarhum, in Beer Sheba's bus station received 4 months imprisonment. That was the most severe sentence. Most of the lynch mob either received community service or in the case of members of the prison service were simply not prosecuted. I contrasted this with 16 year old Ahed Tamimi whose cousin, half an hour before, had been shot in the head by a plastic bullet. Ahed slapped a soldier who invaded the grounds of her house. She received an 8 months sentence and the Education Minister, Naftali Bennett suggested she should spend the rest of her days in prison. Yet if I call this racist then according to the IHRA misdefinition of anti-semitism, which states that calling Israel a 'racist endeavour' is itself anti-semitic, it is me who is anti-Semitic. Not only is the IHRA racist but in suggesting that Jews support Israeli racism it is also anti-Semitic. Yet this is the policy that is being used to ban Gilad Atzmon. Clearly he isn't being banned on anti-racist grounds. Noone has been a greater critic of Atzmon over the years than me. Nearly 12 years ago I wrote one of the first critiques of Atzmon’s anti-Semitism, The Seamy Side of Solidarity in the Guardian’s Comment is Free, at a time when the Guardian wasn’t afraid of debating issues such as Zionism. 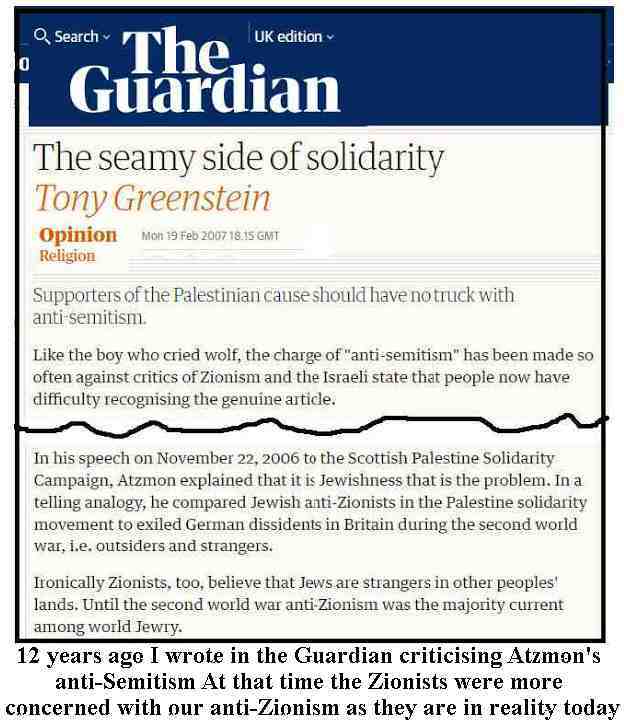 I also organised a picket of Jews Against Zionism in June 2005 when Atzmon came to talk on Otto Weininger at the SWP’s Bookmarks. My blog was initially set up in order to combat the pernicious influence of Atzmon in the Palestine solidarity movement. I have written dozens of articles analysing why Atzmon’s writings are both anti-Semitic and unhelpful to the struggle for Palestinian liberation. 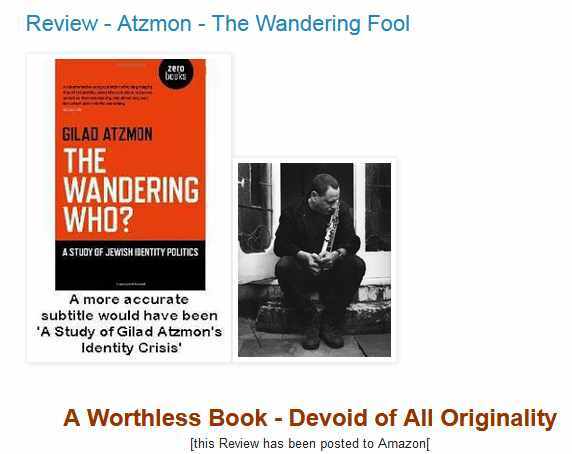 I produced A Guide to the Sayings of Gilad Atzmon, the anti-Semitic jazzman and in a review of his book The Wandering Who I described it as Worthless and Devoid of All Originality. 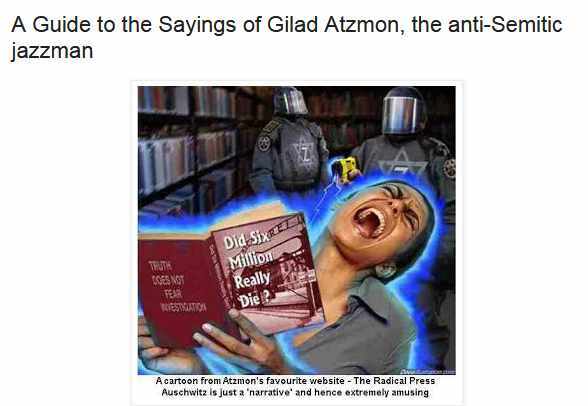 Other articles included Gilad Atzmon Comes Out - Now an open anti-Semite . I penned a number of articles in Weekly Worker such as Time to say goodbye. Atzmon was not reticent in attacking me either, e.g. 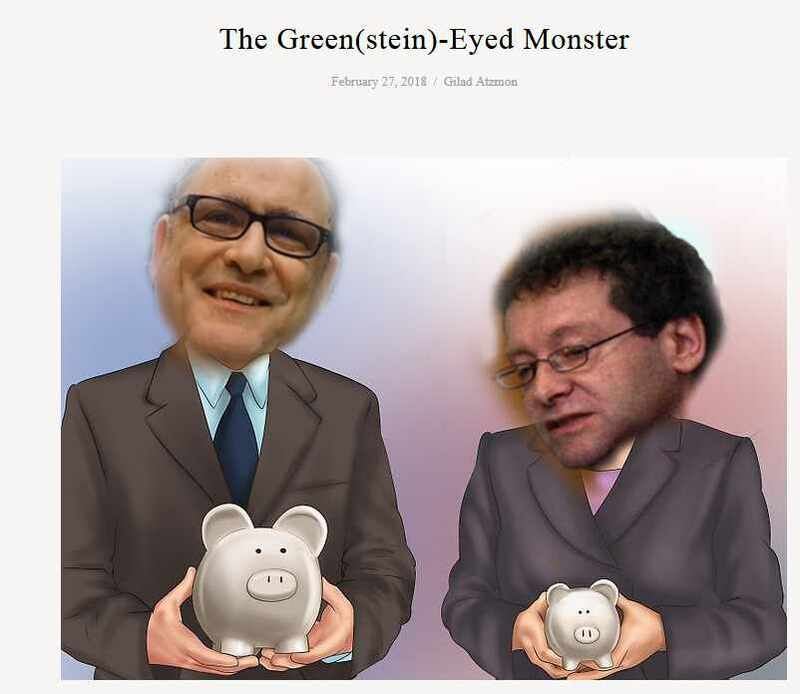 The Green(stein)-Eyed Monster. In a debate with Atzmon, which has been widely quoted, I demonstrated how he was undoubtedly anti-Semitic and sympathetic to the arguments of holocaust denier Paul Eisen. During the course of this debate Atzmon described Eisen’s Holocaust Wars, which was paean to Ernst Zundel, an open Hitler worshipper, as ‘a great text’. 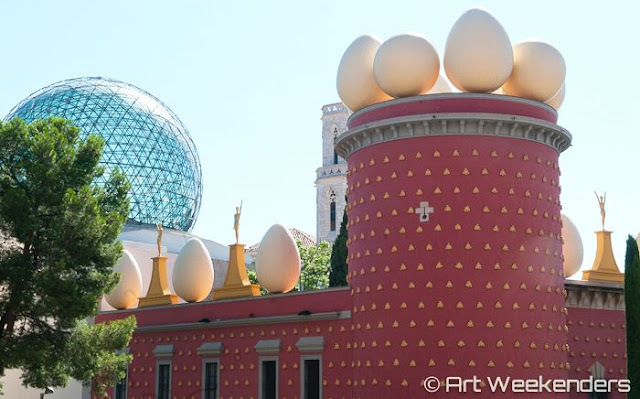 Salvador Dalli's Theatre/Museum at Figueres - Perhaps this too is not kosher? You might therefore think that I would welcome the decision by Islington Council to ban Atzmon from playing a concert. I don’t. My objection was always to Atzmon’s politics. I have never objected to his music. Although jazz is not my preferred musical form I recognise that Atzmon is a brilliant performer. For example he won the BBC Jazz Record of the Year in 2003 with Exile. Nor is he a fascist like many of his detractors. It is utterly indefensible as well as being undemocratic to ban Atzmon’s music. 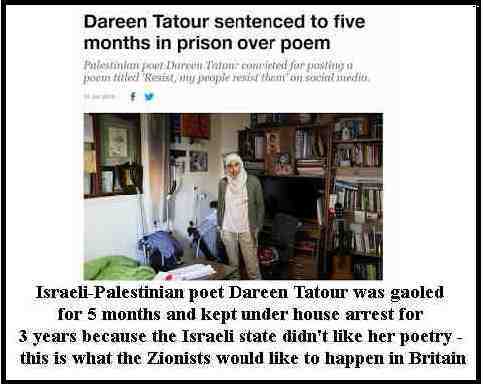 It fits in well with the police state methods of the Israeli state which recently gaoled an Israeli Palestinian poet Dareen Tatour for writing a poem. This is the same Israeli state which does nothing and says nothing when hundreds of Israeli Jews add ‘death to the Arabs’ to their twitter id. 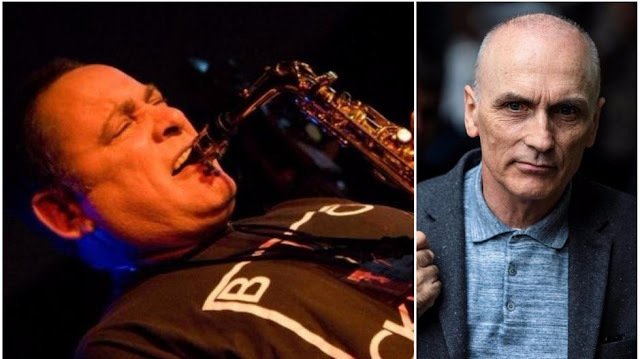 The ban on Atzmon has nothing to do with anti-racism and is part of the Zionist attack on freedom of speech for Palestinians and anti-Zionists in Britain. To support it or say nothing is to give comfort to the racist supporters of the Israeli state. The ban on Atzmon is nothing less than cultural McCarthyism. It is wrong in principle. When you prevent someone performing because you disagree with their politics it is a slippery road to an authoritarian state. Perhaps we should ban T.S. Elliot’s poetry and Wasteland since Elliot was, without doubt, anti-Semitic. Maybe we should also ban the works of Ezra Pound who was far worse and a sympathiser with the Nazis. Undoubtedly we should ban anything connected with Salvador Dalli since he supported Franco and Hitler. [See When The Surrealists Expelled Salvador Dalí for “the Glorification of Hitlerian Fascism” (1934)] I confess here to having recently visited his theatre-museum in Figueres and found it thoroughly enjoyable (and also learnt that he was something of a Zionist – not unusual in fascist circles). For those doubting Thomases and professional searchers after anti-Semitism in the Jewish Labour Movement and other racist circles we should also ban Charles Dickens. Fagin, who ran a school of pick pockets, is perhaps the most notorious of all Jewish characters in English literature. In 1854 the Jewish Chronicle asked of Dickens why "Jews alone should be excluded from the 'sympathizing heart' of the author. Dickens was a racist who also supported the infamous Governor Eyre, who declared Martial Law in Jamaica when there was a Black rebellion in 1865. Over 400 were hanged and 600 flogged (including women). This caused a massive controversy with Darwin on one side and Dickens alongside the white colonists and Tennyson. And if the ban on Gilad Atzmon stands then we should definitely ban Shakespeare from the syllabus because there is no doubt that the Merchant of Venice with his pound of flesh is also anti-Semitic. Some people even believe that we should rewrite the Merchant of Venice and for good measure we should also ban Wagner’s music. 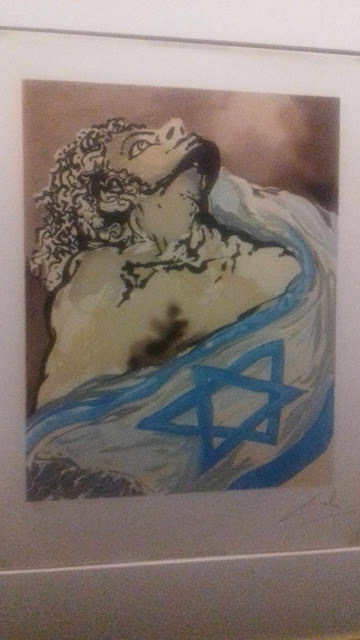 This is the cultural philistinism and barbarism that wretches like the Jewish Labour Movement’s Adam Langleben would have us indulge. The JLM, which is calling for the whip to be withdraw from Chris Williamson MP, whom it terms a ‘Jew baiter’ because he initially opposed the ban on Atzmon, is a group that has war criminal Ivor Caplin, a Defence Minister in Blair’s government at the time of the Iraqi invasion, as its Chair. At least Atzmon doesn’t have the blood of thousands of innocent people on his hands but Langleben, Caplin et al would have Atzmon’s music, which has hurt no one, banned. Whereas the Nazis banned books, the Zionists would ban music. As Heinrich Heine presciently remarked, those who burn books later burn people. The same is true of those who would ban Atzmon. There is a debate over politics and art but it is not one that the Langlebens and Caplins would even begin to understand. The relationship between the artist and what they produce has always been a difficult and controversial one. Artists can create great music and art despite themselves because of the influence of society in all its forms upon them. Their art is greater than them. Art and culture does not belong to the individual who created it but the society in which it is created. Artists often create what they do despite their own politics and preferences. 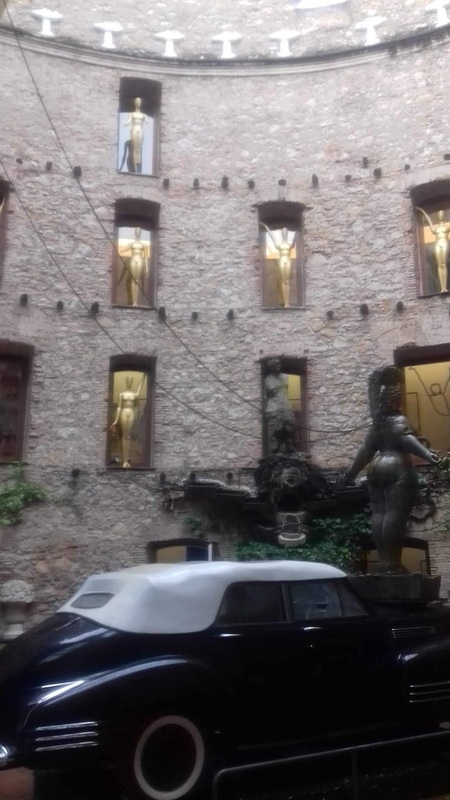 To expect that only politically correct artists or musicians will produce acceptable music or art is a form of cultural barbarism that reminds one of the Stalinist concept of socialist realism and art as a function of politics. The Nazis and Hitler in particular had a similar attitude to what they termed ‘degenerate’ art. The reality is that people like Bob Dylan produced great music not because of their own intrinsic worthiness but because of the impact of the wider society upon them and their ability to synthesise that music into the moods of the time. The genius of Dylan’s music is despite his worthlessness as an individual. The attempt to ban Atzmon should be laughed out of court but given the intellectual poverty of the Labour Party’s Zionist witchunters and its machine politicians with their endorsement of the incoherent fulminations of the IHRA, the decision of Islington Council has not met with any substantive criticism. People have been intimidated. Even Chris Williamson has been forced to row back and apologise for his initial opposition to the ban when apprised of Atzmon’s anti-Semitism. This campaign is utterly hypocritical. Atzmon’s anti-Semitism is not dangerous to Jews. Atzmon’s nonsense is a danger to Palestinians. That was why Ali Abunimah and other Palestinians issued a statement Granting No Quarter: A Call for the Disavowal of the Racism and Antisemitism of Gilad Atzmon because it tarnishes their struggle. ‘Anti-Semitism’ today is primarily either verbal or on social media. Noone has died because of a Tweet or Facebook post. 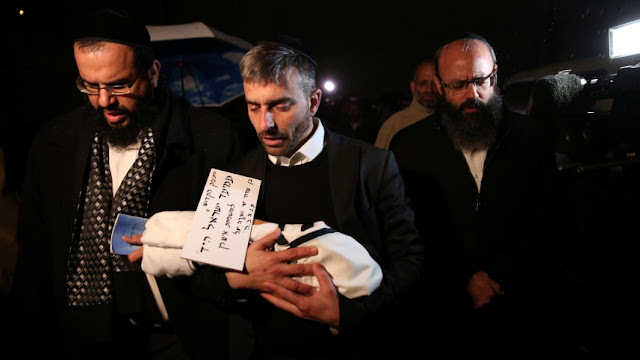 What anti-Semitism exists today is either on social media or a reaction to Israel’s murderous barbarities. Where anti-Semitism does have strong social roots, as in areas of Eastern Europe – Poland, Hungary – then one finds that these regimes are the best friends of Israel! Indeed the absurdity is that it is European’s far-Right governments which are the strongest supporters of the IHRA, e.g. the neo-Nazi Freedom Party in Austria’s Government. Indeed Israel has been arming the neo-Nazi Azov Batalion in the Ukraine. In reality Atzmon, who sees Zionism as the authentic expression of being Jewish, is a Zionist who doesn’t like what Zionism has become. Unfortunately he expresses his dislike in anti-Semitic terms thus reinforcing Zionism. That is why he spends most of his time attacking Jewish anti-Zionists like me! I fully agree with the statement of Ali Abunimah and the other Palestinians. That is also why I disagree with this stupid, reactionary and counter-productive ban. Jazz saxophonist and writer Gilad Atzmon was recently banned from playing at an assembly hall in Islington, a borough of London, by order of the Islington Town Council. 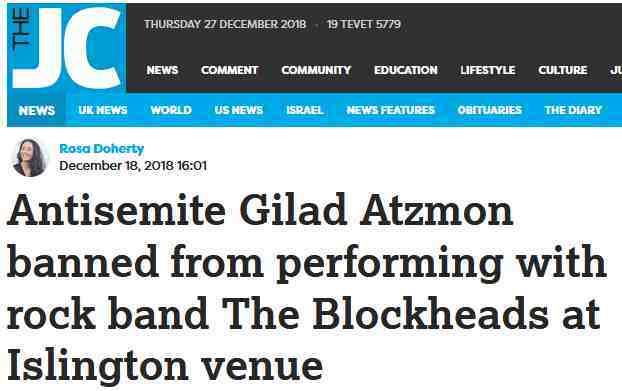 This came about as a result of an e-mail from one person – Martin Rankoff – saying nothing more than that if Atzmon was going to be at the venue on December 21 he would give a ticket that was given to him to someone else. 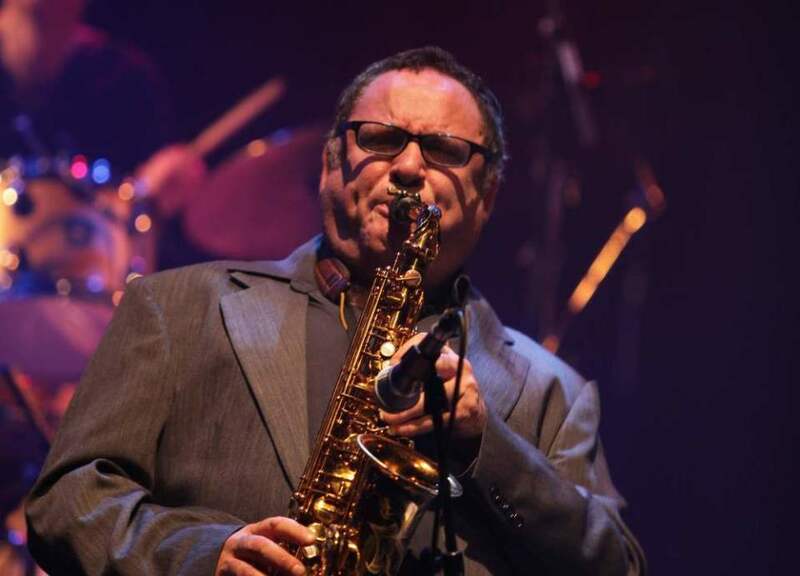 Rankoff wrote, “Mr Atzmon’s news and beliefs I personally find repulsive and do not wish to be in the same place as him, let alone listen to his music.” Rankoff included links to ADL and Israeli news outlets accusing Atzmon of antisemitism. Incredibly, on the basis of this letter alone, the Islington Council went way out of its way and contacted the show’s promoter to get Atzmon banned—something Rankoff didn’t even ask for. Today Amos Oz, novelist and doyen of the Zionist left died aged 79. Israeli newspapers, regardless of political affiliation, are full of sorrow and eulogies. All the world’s media agreed with the New York Times in describing Oz as a ‘peace advocate’. However it is untrue. Oz was a left-Zionist supporter of Apartheid. His support for a 2 State Solution was based firmly on the idea that Arabs and Jews could not live together in one state. He was an advocate of segregation. It was because he knew that Netanyahu’s plans for a one state Greater Israel, in which the majority of Palestinians would have no rights, would result in Israel being labelled an apartheid state, that he supported two states. It was for this that he was seen as a peace advocate. Oz realised that tarnishing Israel with the Apartheid label would spell its eventual demise. It is not Oz, who never once queried or questioned what a Jewish state meant for those who were not Jewish who merits this praise. Oz never lifted a finger against Israeli racism or settler colonialism. He preached segregation and separation. It is Gideon Levy and Amira Hass and the activists in groups like Youth Against the Settlements who deserve our support. Amos Oz was self-indulgent, hedonistic, sexist and racist, not least towards Mizrahi Israeli Jews. Oz’s light only shone because of the darkness into which Israel has sunk. 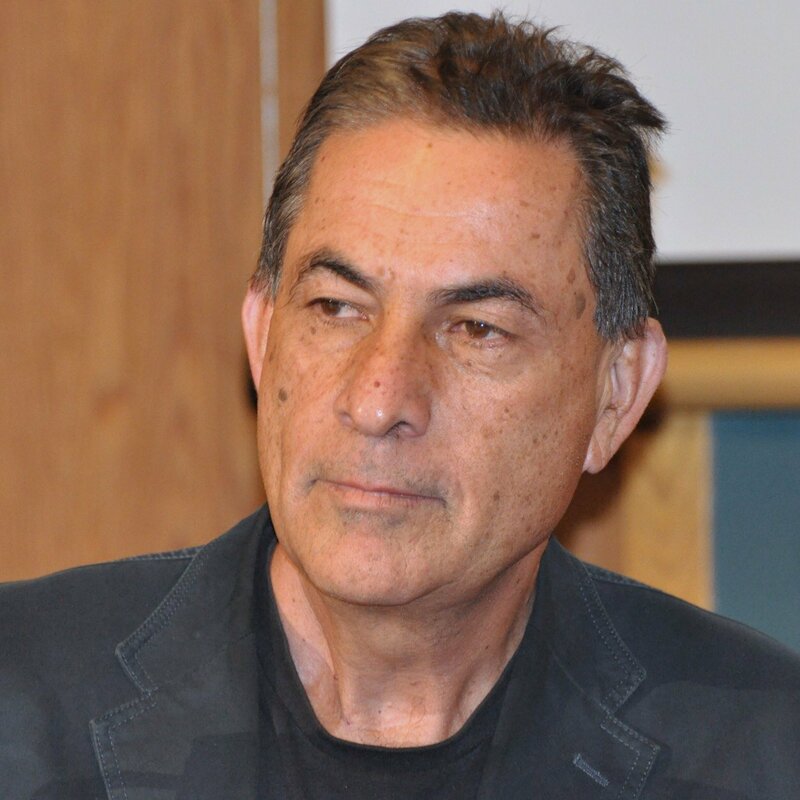 What is certain is that Oz could not have written a searing criticism such as Gideon Levy’s below in which he states outright that he does not have any sympathy with dead Jewish settlers in the West Bank. Nor should we. When Nazi Germany captured Poland Himmler immediately set about a project of settling the Gau of Wartheland with German settlers and evicting the Polish peasants and Jews. With Nazi Germany's defeat these settlers were evicted. I'm not aware that there is a great deal of sympathy for what became of them. It is noticeable that when Palestinians die under Israeli bullets, there are no pen portraits of who they are, their children and life. as happens when an Israeli settler is killed. 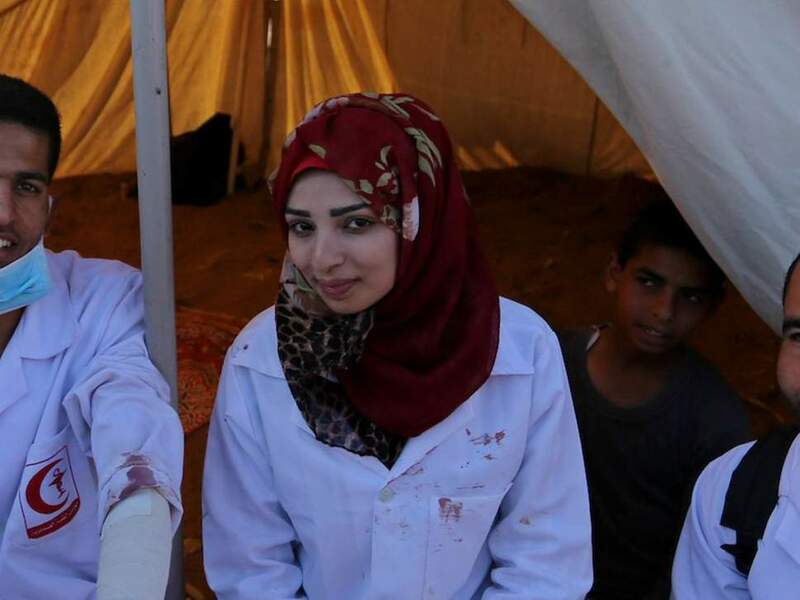 When Razan al-Najar was struck down in a hail of bullets there were no eulogies to this 21 year old para medic living in Gaza, who had been murdered whilst tending injured demonstrators. Israeli Ministers and the President had nothing to say about a young life cruelly taken away. She had no family as far as the Zionists were concerned. Gaza is Hamas and therefore every barbarity is justified. The text’s editors, Oz and Avraham Shapira, of Kibbutz Jezreel, did two things: one was the omission of entire conversations as if they had not occurred at all; the other was the manipulation of and tampering with statements and conversations that were included. ‘What is striking here is the extent to which the national religious settlement movement perceived itself as continuing the trail blazed by the labour settlement movement. One editorial method was to distort direct descriptions of events. E.g. The words in bold were omitted in the published version and the words in square brackets were inserted despite having not been spoken. Another method was to tamper with testimonies of cleansing, in which outright falsehoods were inserted at the editorial stage and in which ‘expulsion’ was replaced with ‘evacuation’. Oz was well aware of the thorough cleansing of the villages in the Latrun area. Conversations with soldiers of Merkaz Harav yeshivah were also omitted because their messianism was at odds with the philosophical, reflective Zionist soldier. Describing how he felt ‘downcast and mourning’ after his encounter at Merkaz Harav, what ‘really hurt was the utter apathy towards our moral crisis.’ And this sums up ‘left’ Zionism. Its concerns are not what happened to the Palestinians but with their own feelings of discomfiture. That was Oz. This is how Siah Lohamim was censored and cooked. 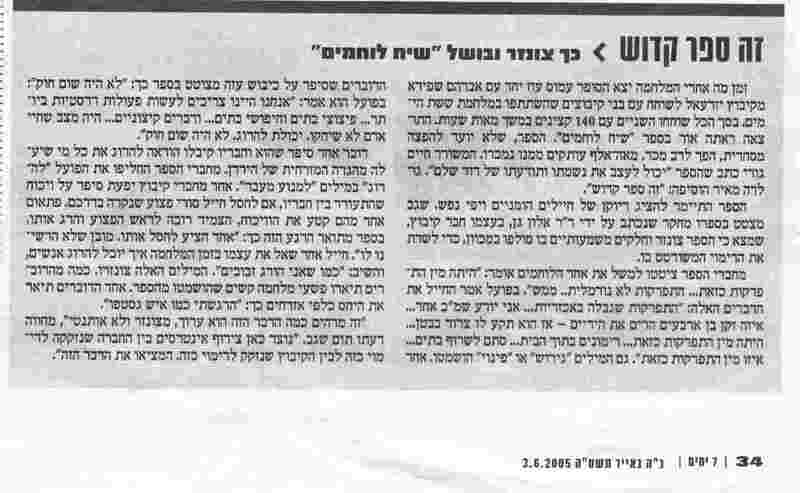 Shortly after the war the writer Amoz Oz went with Avraham Shapira from Kibbutz Yizrael to talk to kibbutzniks who participated in the Six Day War. Altogether the two spoke to 140 officers over the course of hundreds of hours. The result was published in the book Siah Lohamim [Soldiers Speak] published in English as ‘The Seventh Day’. The book, which had not been intended for commercial distribution, became a best-seller. A hundred thousand copies were sold. The poet Haim Gouri wrote that the book could shape the soul and the consciousness of an entire generation. The book was supposed to present a portrait of humane and high-souled soldiers. Segev quotes in his book a study that was written by Dr. Alon Gan, himself a kibbutz member, who found that the book was censored and significant parts of it were deliberately distorted, in order to preserve the image that was portrayed in it. In June 2005, Yediot Ahronot reported (see this article) that Tom Segev was claiming that Oz, in this 1970 book, censored and faked testimonies of Israeli soldiers about war crimes in the 1967 war -- for example, a soldier told Oz that they got an order to kill every person trying to return to the West Bank from the East Bank of the Jordan but Oz just said that they were told to prevent people crossing the Jordan. Ralph Gideon-Yaakov Spiro is an Israeli journalist, left-wing activist and a survivor of the November 1938 Kristallnacht pogrom in Berlin. He is a campaigner for human rights, prominently involved in public acts against the distribution of weapons of mass destruction in the Middle East. He was sacked as a civil servant in the Education Ministry for opposing the Lebanon War. 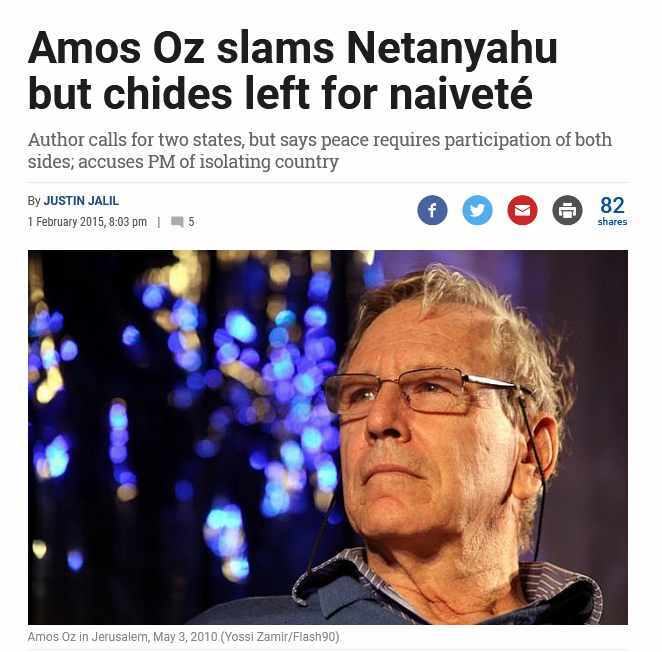 By way of contrast Amos Oz supported all Israel’s wars yet, for some reason, he is known as a peace activist. Since the writer Amos Oz is mentioned as a candidate for the 2009 Nobel Literature Prize, I find it important to inform you that Amos Oz supported the 2 latest wars initiated by Israel: The Gaza war (December 2008 January 2009) in which war crimes were committed (as reported just recently in the UN Goldstone report) and the Second Lebanon war (July August 2006 - see Amnesty International and Human Rights Watch reports). Awarding the prize to Amos Oz, especially so close to those events, contradicts the spirit of Alfred Nobel, and is a slap on the face to Israeli human rights activists and war resisters, as well as being an insult to the Palestinian victims, including hundreds children. Here’s the stick. The bereaved brother removes the black plastic that’s wrapped around it reverently, as if it’s a holy relic. It’s a broomstick, stained with his brother’s blood. It’s the stick he was carrying under his arm as he tried to move away from Israel Defense Forces soldiers approaching him on Jaffa Road in downtown Tul Karm, a street of restaurants and cafés. He was shot from a distance of about 80 meters; the bullet slammed into his head from behind. How can it be claimed that he endangered anyone from that far away? The street was relatively quiet. A small number of young people winding up the night at the coffee houses – and about 30 soldiers opposite them. The security camera at one of the restaurants shows 2:24 A.M. From the video provided by that camera and three others along the street, whose footage was obtained by B’Tselem, the Israeli human rights organization, we see no stone throwing, no large groups milling around. What is seen are three soldiers moving forward, ahead of the rest of their unit. One shot is heard from a distance, and another; two soldiers apparently fired simultaneously. The person seen carrying a stick and walking on the other side of the street, away from the approaching soldiers, falls to the ground, face down. For a second he tries to lift his head – before dying. Another young man is hit in the leg. The soldiers leave in a hurry. The B'Tselem footage of the incident. End of operation. End of the short life of Mohammad Khabali, whom everyone here called “Za’atar” affectionately (after the popular seasoning made of wild hyssop). Mentally challenged from birth, he never hurt a soul and helped local café owners clean up at night in return for a free smoke on the narghile; occasionally he would beg for a handout from a passerby. It’s doubtful that the soldier who shot him knew whom he was shooting; it’s even more doubtful that would have cared. 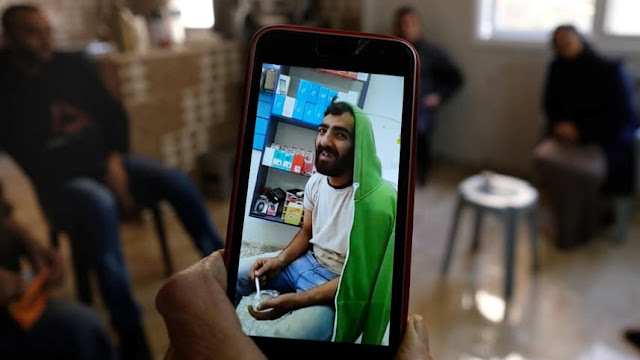 He killed Za’atar for no apparent reason and inflicted another disaster on his already unfortunate family, which lives not far away from town in the Tul Karm refugee camp, one of the West Bank’s poorest. An intimidating pile of garbage greets visitors at the gates of the refugee camp; workers wearing United Nations shirts are loading refuse onto a garbage truck. The Tul Karm camp is the larger of two refugee camps that abut the city on its eastern side. (The other is Nur a-Shams.) Graffiti of a prisoner in an Israel Prisons Service uniform is painted on a wall, a young man in a wheelchair sits in front of one of the houses, the narrow alleys are also littered with garbage. Neglect is pervasive here. 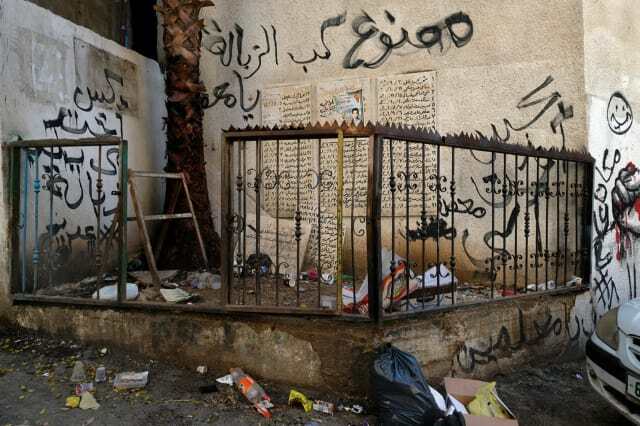 Garbage swirls even around the shattered monument commemorating the 157 inhabitants of the camp who were killed until between 1987 and 2003, during the two intifadas. 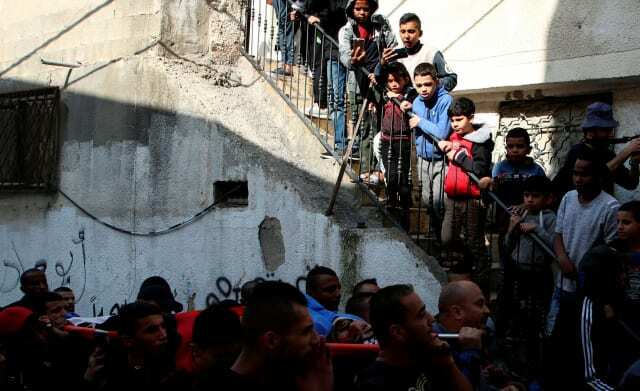 The monument was erected at the site where at least 10 young people were killed in the second intifada by IDF snipers who positioned themselves on the roof of a high building nearby. A new, more up-to-date monument is planned, we’re told by the camp’s director of services, Faisal Salami. A cluttered store selling scraps, second-hand items and old trinkets is bursting at the seams. It seems like all of Israel’s schmattes have ended up here. Entering one of the houses, we climb to the second floor: It is the home of the Khabali family and of the camp’s most recent martyr. Exposed electrical cables adorn the walls, on the sink is an old car mirror – the apartment’s only mirror. We will soon be joined by the bereaved father, Khossam Khabali, his legs incapacitated from a childhood disease; he ascends the stairs with great difficulty, leaning on a cane, both legs disfigured. He’s 54 years old and trying in every way possible to provide a living for his nine children, two of whom – the dead son and one of his brothers – have suffered from mental impairment. Khabali works as a guard in the Tul Karm Municipality, hauls fruits and vegetables to the market on a mule-drawn cart, and is an occasional undertaker in the local cemetery. No, he replies, he did not dig his son’s grave. His face is a study in grief and suffering. Mona, his wife, a heavyset woman of 50, speaks about her dead son in a whisper. The shock is still palpable here. Last Monday, they relate, Mohammad was at home and in good spirits. He helped his father fix the mule cart. For supper he had makluba, a chicken and rice dish that his mother prepared, and at about 7:30 he left for the cafes on Jaffa Road, as he did every evening. Before leaving, he asked his mother if she needed anything. He would usually get home around 1 A.M., after straightening and cleaning up the cafes. This time he didn’t return. At about 3 A.M., distraught young men arrived at the house and woke up the eldest son, Ala, who roused his parents: Mohammad had been killed. Khossam asked one of his daughters to check on the camp’s Facebook page whether it was a mistake, and discovered, to his horror, that the victim was indeed his Mohammad. In a daze, he hurried to the Thabet Thabet Hospital in the city, where he saw his son’s body, a hole in the back of his neck. Death had claimed him at age 22. Mohammad attended school until sixth grade, but didn’t understand a thing, his parents say. Already at the age of 3 they noticed he wasn’t developing like the other children and was mentally disabled. He was their second son. Their next child, Ibrahim, who’s now 18, suffers from the same affliction. Ten days before Mohammad was killed, he and Khossam returned from Amman, where they paid condolences on the death of Khossam’s brother. It was Mohammad’s first – and last – trip out of the country. According to his Aunt Latifa, who came to Tul Karm for the funeral, he was thrilled to be in Amman. Video clips show him dancing and singing at the home of relatives in the Jordanian capital, a day before returning to the refugee camp. There’s also a selfie that Mohammad took. He helped his uncles harvest and sort olives – that too was captured on video and in other photos. In the last picture taken of him, Mohammad can be seen holding a small Koran and seemingly reading from it, though he didn’t know how to read or write. That shot was taken in one of the Jaffa Road coffee houses, about an hour and a half before soldiers killed him. Some clips show him speaking, but his speech is slurred, unclear. Allah have mercy, his aunt sighs. 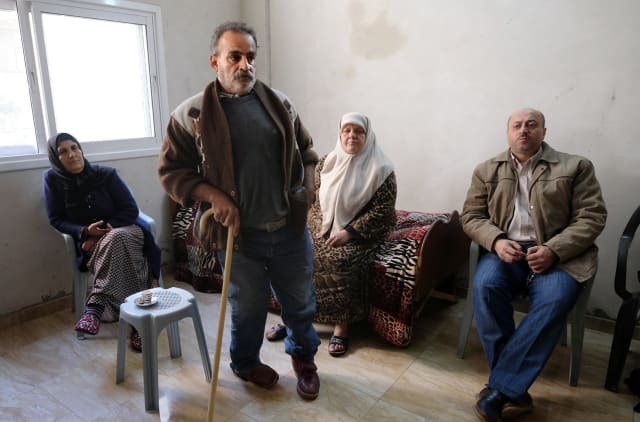 After father and son returned from Amman, discussions began about the wedding of the eldest, Ala. Mohammad told his parents that he’d like to be the next to get married. Mohammad was never stopped by soldiers, never got into a quarrel with anyone, and appears to have been much loved in the camp and in the city, partly because of his impairment. The narghile was his way of relaxing, his escape. After leaving the family with a heavy heart, we drive to the scene of the killing. Tul Karm’s main street for entertainment begins at Kadoorie Technical University, at the city’s western edge, and ascends to the town center: stores, computer game arcades, restaurants, cafés – one of which is for women only, its windows blacked out. Some of the places are stylishly designed. There’s Café Bianco, Café Al-Shelal and opposite them a wall painting of Mahmoud Darwish, the Palestinian national poet. On the night between Monday and Tuesday of this past week, some 200 soldiers invaded the city, according to residents’ estimates, and scattered to a number of sites. Routine. A group of about 30 soldiers raided two houses just off Jaffa Road and then proceeded to the main street. They didn’t detain anyone. The coffee houses were already mostly closed, the A-Sabah hummus restaurant was about to open to welcome workers who set out to their jobs in Israel in the middle of the night. The soldiers gathered next to the Al-Fadilia boys school, the city’s veteran educational institution, at one end of the street. The young people who emerged from the cafés exchanged curses with the soldiers, some threw stones at them from a distance. According to Abd al-Karim Sa’adi, a field investigator for B’Tselem, who carefully collected evidence immediately after the killing as though he were from a police forensic unit, including footage from all the security cameras on the street, the stones landed halfway between the young people and the soldiers. No one was hit. In Sa’adi’s estimation, no more than 15 or 20 young Palestinians confronted the soldiers, from some distance. One of them told Mohammad, “Za’atar, you should get out of here.” As the video from one camera shows, Za’atar turns around and starts to walk away from the soldiers. Not running but slowly walking. Then he’s shot in the head, from behind. A few faded bloodstains are still visible on the asphalt where Khabali’s body was dragged away after the shooting. He died on the spot, his head bleeding profusely, Sa’adi says. Fine Italian espresso is served in the café opposite, and two colorful photographs are hanging on the wall. One is of a large drone with the Israel Air Force symbol on its tail, the other of an IAF Fouga early fighter plane in the skies above Israel. The proprietor says he erased the squadron numbers before hanging them. He bought the two pictures in Tul Karm’s flea market. Mohammad Khabali, aka “Za’atar,” is now buried not far from here, in the martyrs section of the cemetery.